Atlantis Unearthed – Do Surprising Underwater Scans Show Lost Architecture on the Sea Floor? In his poems of the Iliad, the Greek Philosopher Homer introduces us to the mythical city of Troy, which remained a curiosity to many until the late 1870s when Heinrich Schliemann, on a hunch, began excavating the remains of an ancient city in Turkey. Although he was an amateur archaeologist and his methods were considered somewhat outlandish, Schliemann would evidentially find Troy and confirm its place in history. Most historians consider Plato’s description of Atlantis, written in Timaeus, was simple story-telling as told to him by Solon, an Athenian traveler, and not a true place in Earth’s historic past. And yet, on closer inspection, we learn that Solon had heard about Atlantis from Egyptian priests who described the true antiquity of Earth and civilizations that had come and gone in the distant past. Down through the ages, Atlantis has captured the imaginations of countless authors and investigators, and today is considered a fable and described in negative or pseudo-scientific terms by conventional scientists. But dismissing Atlantis is a mistake, and the evidence of very old and highly advanced people in the Americas and other parts of the world are important to consider. It’s difficult for us to imagine a great culture which existed over 10,000 years ago and the contributions they might have made to the world, and yet for those who live in or have visited Mexico, they know there are countless examples of very old, anomalous buildings and pyramid complexes constructed with an engineering prowess that is lost in time; the Maya are a classic example. Although we know very little of their history, their mathematics, engineering, and other sciences were highly advanced, without obviously known periods of development. It’s as if they appeared magically complete, with all their advances and characteristics of a complex society in place from day one. Because of the tragic destruction of hundreds of Maya codices, technical manuals and records of their history, we are left to wonder at the evolution of this fascinating culture. As the host of the popular podcast Earth Ancients, a program that investigates Earth’s ancient history, I’ve been fortunate to interview many of today’s most gifted authors, researchers, investigators, and scientists. Atlantis has been a theme covered on numerous occasions, as well as its probable influence on other cultures around the world. 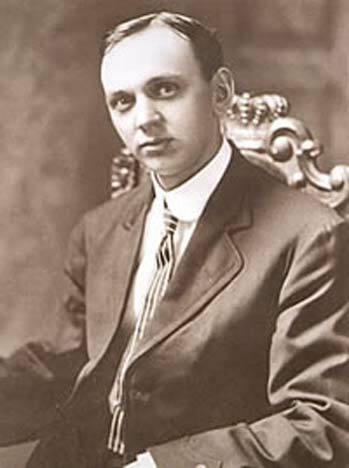 Invariably when the subject of Atlantis is broached, and the great psychic Edgar Cayce comes up for discussion. Known to many as the Sleeping Prophet, Cayce was an American trans-channel, who in the 1920s to 1940s claimed to be able to access a level of consciousness which could view the lives of an individual through their many incarnations on earth. In these readings, Cayce was said to travel to a certain lifetime and describe traumas, injuries or other conditions which were affecting the wellness of a person in the present time. Hundreds of these readings were said to have occurred during a period when the continent of Atlantis was in the Atlantic Ocean. During the readings, Cayce also described a highly advanced technology which was developed around piezoelectric science and that powered flying machines, land and submarine craft, as well as a variety of devices and weapons. When asked about the location of Atlantis, Cayce described it as having had three distinct periods: 100,000+ years, 28,000 years, and roughly 12,000 years ago—each phase of land change resulting from terrible earthquakes and land shifts. He said one of the great cities of Atlantis, Poseidia, was positioned in the Caribbean Ocean, in what is present day Bimini Islands. In 1940, Cayce predicted that Poseidia would re-emerge again in the late 1960s, complete with its temples and other buildings. During his lifetime, Cayce and his followers built an organization around his readings which included a hospital. Association for Research and Enlightenment (ARE) was formed to house the thousands of hours of readings, develop numerous health remedies, and to provide an institution for higher learning. Over the years, a number of people have searched for the remains of Atlantis only to fall short in their expectations. In 1998 and again in 2007, ARE funded underwater research on target areas which had been discovered using the latest satellite and airplane imagery. Following the path of the immense Bimini wall, a massive series of underwater stones which formed a road that may have been part of an ancient harbor, archaeologist William Donato, with Michael Pateman and a team of sonar scanning technicians, made a startling discovery. 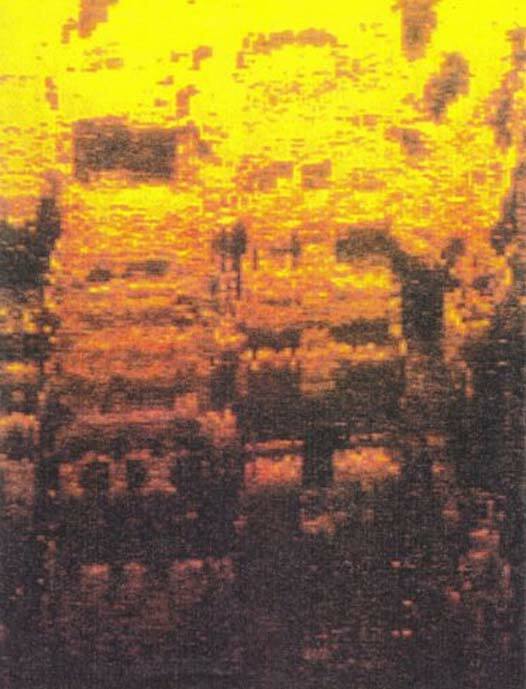 On the Target 1 sonar imagery, at approximately 130 feet (40 meters) underwater, what seems to be a series of buildings were visible that are similar to those found in the Yucatan Peninsula. One series (pictured in never-before-published images below), is similar in style to the Puuc Maya pyramid complexes found on the Gulf of Mexico side of the Peninsula. When side-scanning sonar results are introduced, we can see the complete front facade of a series of buildings, including staircases, doorways, and columns. Underwater scanned image of structures off the coast of Bimini. (Image provided by William Donato). When I interviewed William Donato, he mentioned that at the time that he was surprised at the style of the pyramids in the color scans, as well as its similarity to Maya-style complexes. Further investigation would be ideal, but because of funding issues and the great expense of using underwater scanning equipment, follow-up dives have not taken place. Building complex similar to Maya buildings in Yucatan Mexico. Image scanned at approximately 130 feet under the ocean off the coast of Bimini. (Image provided by William Donato). Some people might suggest that these are Maya cities and that there never was an Atlantis. The issue with this theory is that these buildings are deep under water—in some places over 300 feet (91 meters) deep— which could suggest rising water levels. Scientists now understand that following the end of the last ice age (the Pleistocene epoch), Earth encountered a traumatic event approximately 12,000 years ago, when a series of asteroids bombarded our planet and changed surface features, elevated the surface temperature, and destroyed a vast number of civilizations and animals. This event is now called the Younger Dryas period and is considered by many to be a cause for the rise of the world’s oceans. If we compare this event with Cayce’s description of the destruction of Atlantis, the two are eerily similar. The destruction of Atlantis and civilizations of planet Earth may have been caused by devastating land changes that caused huge areas to be submerged, massive tsunamis to cover land, and flooding to deluge large portions of the planet. For me, it does provide compelling evidence that the Maya may have been the descendants of a scientifically robust civilization that suddenly vanished. When I see the underwater scans of Bimini I’m reminded of the building complexes I’ve visited in Yucatan and other regions of Mexico. There’s something about the construction that appears to be lost in time, and it would explain why there is no early developmental period of the Maya that we find today. Their science, engineering, construction techniques, medicine, mathematics and so much more were inherited from a mother culture formed after thousands of years of research and development. Side sonar scan off the coast of Bimini at 130 feet under the water. This color image reveals the staircases, doors, and the roof of a pyramid complex. (Image provided by William Donato and ARE). Side sonar scan of a pyramid complex off the Bimini coast. Depth is over 100 feet. (Images provided by William Donato and ARE). To this day, it’s my belief and conviction that our best link to the ancient past is within the Maya civilization, and what they encoded for us in their buildings, artwork and other artifacts. I also believe that what some see and interpret as the Maya people (savage, bloodthirsty, warring people) were the surviving generations who struggled to begin again after the great deluge and earth change. The scientists, engineers, and great planners perished, leaving the few remaining people to kick-start civilization. We may be discovering this today at many Maya cities throughout Central America, as scientists excavating standing buildings have uncovered very early settlements and construction just below the surface. It’s also interesting to note that some of the earliest pyramid complexes are the most sophisticated, revealing an engineering and construction prowess that is lost in later years. Cliff Dunning is host/producer the popular podcast, Earth Ancients : Startling new discoveries from our planet's distant past. His newest book, The Black Knight Satellite will be released in fall 2017. Cliff Dunning is a archeo-investigator, author, and host of the popular History podcast, Earth Ancients: Startling New Discoveries from our Planets Distant Past. If he prophesied something that did not come to pass, He is NO Prophet of God's, therefore he is of the God of this World, the Prince of the Power of the Air. Do not read nor attempt sleeping with him. C'mon, Cliff! At least spell Cayce's name correctly. Takes away some of your credibility when you go with "Casey." One can not have a continent in the middle of the ocean if there is no continental crust for it to sit on. Plato describes A very large catastorphic subsidence event somewhere west of the European Continent. We need to be a detective an look for where such a subsidence could occur west of Europe. The only place we find is across the Atlantic, South or North America. Next we need to find places where you could have subsidence. River deltas and prehistoric ancient river deltas are the most likely places to look. And the mother of all deltas is the Mississippi Estuary that existed during the time of continental ice melt. The Mississippi Estuary once flowed through the Gulf past the north side of Cuba and South of the tip of Florida all the way to the Bermudas. The channel of its flow route is still there at the bottom of the Gulf and Ocean. The south side of the channel was once dry land and this is the place of Atlantis (Aztec-lan) , till one of the greatest subsidence events of all time occured over 11,000 years ago. How else can the stone structures found at over 2,000 feet of depth of the Northwest coast of Cuba have gotten to this extreme depth? The same goes for the ones by Bermuda. You lose all credibility when you keep referring to the psychic as "Edgar Casey". It's Cayce, as listed in the description of the photo. I don't know anything about scuba diving but it makes sense to me that someone could drop a camera (perhaps with a strobe unit) and shoot a few pictures. Doesn't seem like it would be all that difficult. Read more about Atlantis in India: Did Plato’s Lost City Exist in the East?